Introduces & explores key people and events in history! I've been using this along with Step 2 History - Leader I book with my 2nd grader for 2-3 months now. We love this curriculum because it's easy to understand, straight forward, age-appropriate and easy to use. All these without using a dumbed-down text. My son's able to narrate and answer comprehension questions from me once he reads the lesson. He also likes the thought-provoking questions from the author, links to videos/pictures, simple hands-on activities and the ball-stick drawing. It makes the history lesson fun and painless. 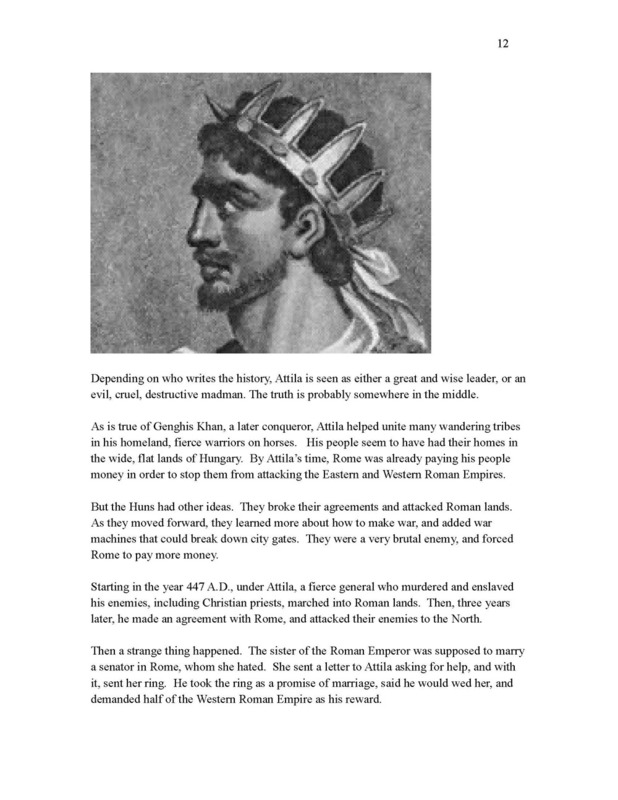 Before Steps we used literature-based approach in studying history. However, I found myself, even after the read aloud session, to sometimes have to re-explain the story or certain concept to my son because literature is ..ahem ... wordy. Plus, the books are often too detailed that the big picture is sometimes missed by the student. With Steps, between the reading and activities/questions, student (well, my son) grasps the story and concepts easily by themselves and with high retention. Talking about painless and effective learning here. My son was able to answer the test questions without even a review and he can relate what he learns in history when he encounters something in real life. Students can do our Step 2 History courses in any order. This course is intended to be done as the second course of three, during the second semester (20 week period) of study for a 7 year old, but may be done whenever the parents or students wish. History is brought to life and made relevant as the student is asked to consider what he or she would do in the famous (or infamous) person's place. The course is fun. Every lesson works to develop reading, vocabulary and geography skills, as well as critical thinking skills and historical knowledge!